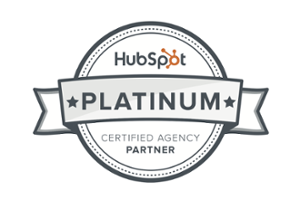 As an inbound marketing agency, we’re committed to putting out strong, well-sourced content (as well as conducting SEO, keyword research, websites, social media… seriously, the list goes on). We use this content, then, to generate visitors to websites, convert them into leads and help companies nurture those leads into customers. Our aim is to drive organic traffic to a company’s website. 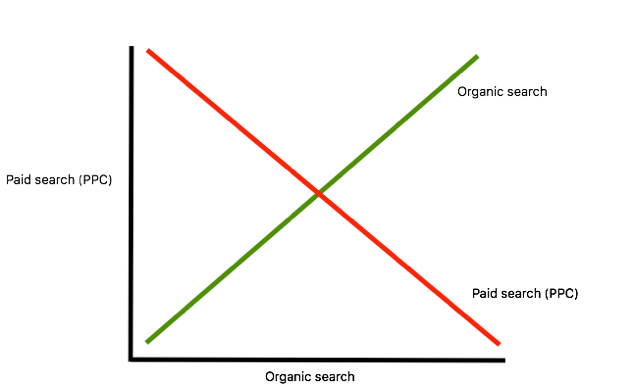 But organic traffic takes time, a lot of time in fact. To drive enough organic traffic, you need to make quite the sound on the internet (and it must be a tuneful sound at that) to boost your visitor numbers and ensure they return to your site frequently. Before you reach that stage of your marketing strategy, however, you can pay money to bring leads in. Pay-per-click is what a foghorn is to a silent orchestra. Disruptive, effective, efficient at what it does. PPC stands for pay-per-click. Essentially, you – the business – advertise your content online so that a curious internet wanderer can stumble across your greatness without trawling all the way to page five of Google. It provides an easier avenue for website warriors to click through onto your site and maybe even fill in a form or shop around for a product. Right. But, there’s a price you pay. Every time your business serves an impression (i.e. every time your advertisement pops up on their computer screen) and someone clicks on your advertisement, you pay a fee. Quite simply, if someone sees your advertisement on their screen and they click through, you’ve outcompeted other advertisers and have won that ‘bid.’ And just like eBay, bids are only won by forking over your hard-earned cash. 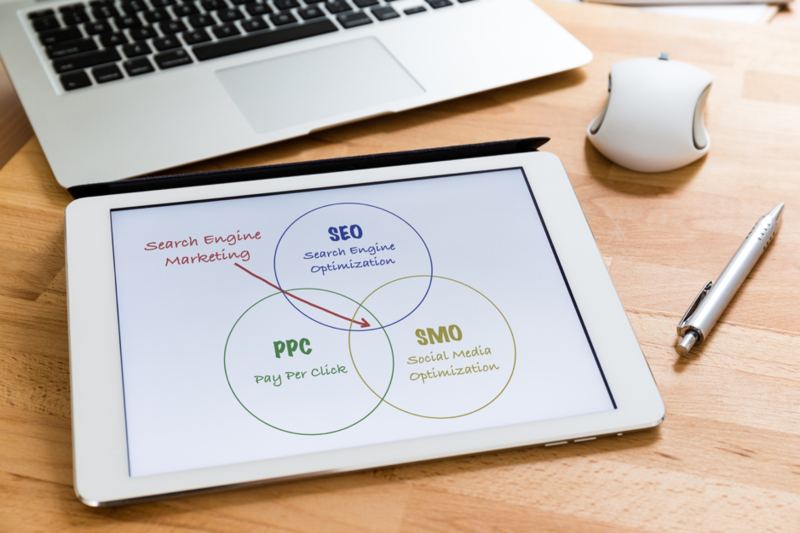 The purpose of PPC is relatively straight forward. It’s a tool that should be used early in the marketing process to help drive website visitors before organic traffic can play its part, as demonstrated below. I know what you’re thinking, and no, it’s not immoral to buy visitors. Inbound marketing is meant to be informative and educational. It’s a way of taking a potential buyer on a journey of understanding, helping them realise what it is they need to solve their problem. It’s not a sales pitch. PPC is merely an enabler. It doesn’t force products down the throats of the uninformed and naïve. Instead, it’s a way of helping curiosity flourish. And if it’s flourishing because of your content, surely that’s the entire point. Everyone is on Google. At the time of writing this, the number of people entering search terms into Google is 3,844,3…4…5… I can’t keep up. The number just keeps climbing. Let’s go with 3.8 billion. That’s your market. 3.8 billion people. Sure, you might be selling the latest range of bespoke screw joints for a singular model of desk chair (not everyone wants to buy those, trust us). But the point stands: we’re in a single market now, and you’ve got a lot of noise to cut through. Google operates on a keyword basis. You enter the phrase ‘adventure holiday’ into the search bar and Google will provide you the best matches based on your results. Do you see those top four search results? They all have a little ‘Ad’ sign next to them, which means that, when someone clicks on one of those links, those companies must pay a premium to Google. 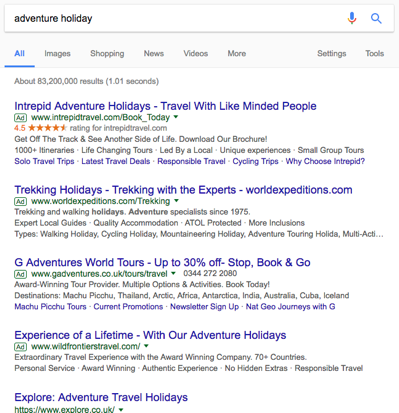 Essentially, they’ve paid money to rank at the top of the search bar when someone searches the keyword ‘adventure holiday’. And for good reason, too. The number one ranker on Google is said to receive more than a third of the search traffic. In this digital age, that can mean a third of the entire market share. Let’s put that into some simple statistics. Moz’s keyword tool has churned up the search figures for the keyword ‘adventure holiday’. Let’s say that you have 500 people searching for adventure holidays each month. For Intrepid Travel (who currently rank number one for the keyword ‘adventure holiday’), that means that they’ll likely get 166 clicks through to their website (or one third of the share). That’s 166 already curious people coming into their digital store to browse for an adventure holiday, and if your marketing funnel is strong enough, that could mean 166 new adventure travellers, each and every month. For the remaining three companies, all of whom are also paying for their advertisements but losing out on their bids, they end up splitting a pot of only 334 searchers. In a perfect world, that’s just a little more than 100 visitors a month. 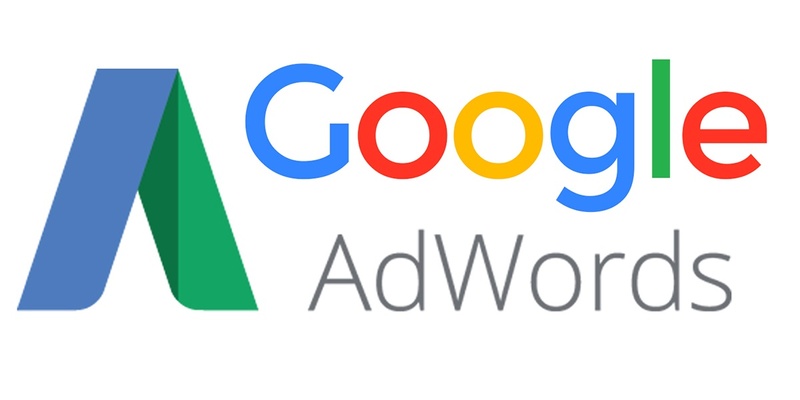 When it comes to Google AdWords, it’s up to you and your copywriters to put together short, witty snippets that entice people into your virtual store. By using action words like ‘download’, ‘discover’ and ‘learn’, you can confidently command readers into clicking through. Assertiveness is the name of the game here. Also, it’s important to clearly identify the value that your advertisement brings to the reader. Without providing value, where’s the incentive to click? Short, concise copy is tough, but if you do it well enough, you’ll likely reap the rewards. Just remember, every word counts. As a B2B marketing agency, LinkedIn advertising is our go-to platform for PPC. It’s targeting features are like nothing else, and you can really tailor your offers to the right demographics. How it works, though, is slightly different to AdWords. For starters, it doesn’t use keywords as its targeting tool. Instead, it uses demographics like job title, industry and seniority to tailor content to the correct users. It also isn’t a search platform. People aren’t searching for content they want to see, but rather, they get fed sponsored advertisements across their LinkedIn content feed. If they click, the advertiser pays a premium. And what a premium it is. LinkedIn advertising costs a pretty penny. Take the above as a good example. We ran a two-week advertising campaign promoting a piece of content about website marketing. In all, we spent £200.00 and received 44 clicks, costing us an average of £4.55 per click. Compared to Google AdWords, which has an average cost-per-click of between £0.66 and £1.32, that’s a lot of money. Especially given that it was promoting just one piece of content for only two weeks. LinkedIn advertising is extremely beneficial, however. Let’s say, from those 44 clicks you land one customer who pays you £1,000. Quickly, you’ve already made your money back, making LinkedIn Advertising a cost-effective tool. 80 percent of all B2B leads come from LinkedIn. 94 percent of B2B marketers use LinkedIn to distribute content. 92 percent of B2B marketers leverage LinkedIn over all other social platforms. There are 380 million tech savvy people on LinkedIn. In fact, LinkedIn has more than 5.7 million CEOs and Managing Directors (i.e. business decision makers) ready and waiting to make important decisions to help expose their business. We won’t lie to you, it’s tough to justify PPC expenditure. It’s a cost that directly impacts a business’s marketing budget. There are no bulk-buy discounts or invoicing periods. You just insert your credit card details and hit the launch button. But many marketing agencies who specialise in PPC will take control of all aspects of PPC, even the financials. In layman’s terms, when you sign on to do PPC with most agencies, you sign over direct access to your marketing budget to an outside agency. Here at Articulate, though, we give you the control. We’ll create advertisements, guide you on campaign setups, crunch the numbers and even prepare your entire campaign, but when push comes to shove, you’ll oversee your own spending. We’ll pump up the tyres, you start the ignition.